The ideal gift for men or women. The Gift Card can be redeemed against all treatments and products and are valid for 12 months. 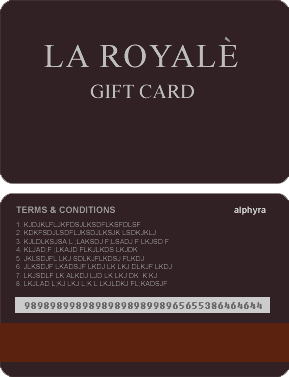 Our Gift Card can also be 'topped up' and then used like a credit card. The gift voucher can be bought very promptly over the phone. Guaranteed to be sent out that day! Phone with your credit card details 046 907 0255 and we will post your gift voucher immediately.